After reading a very depressing article on New York Times I found myself continuing to question our government spending habits. I think the people who scorned Bush for his liberal use of funds are now realizing that Obama is putting us in the same boat. Except this boat is expected to be $9 trillion in a national deficit by next year. Yet they keep pushing. Sure, cash for guzzlers may have been a very mild success, but considering it helped the wealthy and the car dealers more than anyone is nothing to write home about. 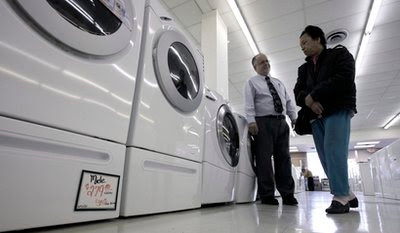 And now we're re-allocating more energy funds for the "cash for fridges" program. And they're still pushing the health care bill as if the world will end if we don't get this enacted tomorrow. We're watching Social Security shrink before our eyes and yet, spending and spending. And spending. I've really respected Dave Ramsey for the fact that he's made millions by telling people not to spend more money than they make. And to save money for the things you'll need it for in the future. It's funny that the US government is still operating with the complete opposite mindset. And then the justification is that you have to spend billions to fix the problem. I don't pretend to know how the deep, inner workings of how Washington works, but I do know that the same old gig is tired and useless. Yes, Obama is different than Bush (and even Clinton and the Bush before that), but the larger issues never seem to be mended. What's missing? 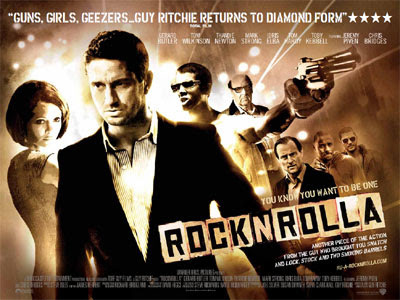 I was thoroughly impressed by Guy Ritchie's 2008 film RocknRolla. Like Ritchie's other films, this one carries with it a distinct use of camera angles, color treatments and - above all - a twist that leaves you not knowing who is for or against who. Add in some well-acted roles, the occasional British wit and some general bad-assery and you have the essence of the film. Tough-guy, Gerard Butler (of the film 300) leads the way with the sensitive and always beautiful Thandie Newton sashaying her way through the film with style and grace. Even Jeremy Piven and Ludacris show up as a true odd couple of business partners. And they do a pretty good job, honestly. It's tough, it's funny, it's intriguing and it's very, well.....Rock n Roll. I'm starting to think that was intentional. 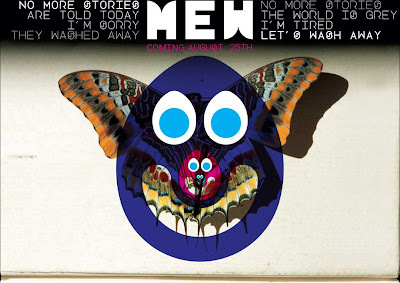 The newest effort from one of my favorite bands, Mew, is titled No More Stories/Are Told Today/I'm Sorry/They Washed Away//No More Stories/The World Is Grey/I'm Tired/Let's Wash Away (I know, right?) and it is awesome. It's definitely a progression from Mew's two earlier records. Trust me...you will want to check this record out. Cash for Clunkers is such a hit. Just like so many other big ideas. Of course the idea is nice and many people are doing everything they can to make the most of it. Why shouldn't they? They got to buy that land-barge several years back and burn tons of gasoline while oil was relatively cheap, which led to new highways being built and old highways being ruined. Since so many of these huge gas-guzzlers were American-made, it gave the domestic automobile industry a false sense of hope and security. Now all that's left are bailouts and the Hummer. Think of Cash for Clunkers as a "bailout for the people". The benefit being that it will lead people to buy new cars that are more fuel-efficient than their previous models. Yes, that makes the environment happy, but it also encourages people drive a lot more and clog up highways more and get in wrecks more and demonstrate what terrible drivers they are more. Soon though, once everyone has a chance to take their new cars out to see the stimulus money in action, there will be some kind of hip, fun way to encourage people to leave their new cars in the garage and ride the subway. After all, isn't it supposed to be more "green" to use public transportation? What better spokesman to remind you of this than Joe Biden? Proponents of CARS will argue that this plan is designed so that the poor, huddled masses that can't afford a new car can now experience the joy of a new car that also helps the environment. While some of these less-fortunate people drive old "clunkers" (it's so nice to potentially hear your Federal Government call your car a clunker), many drive small economy-size cars that are really terrible, but happen to be fuel-efficient enough not to qualify because it takes so little gas to power a 1.2-liter engine that only generates 110 horsepower. In the eyes of the government, your 1989 Toyota Tercel with a missing mirror, duct tape bumper and a stripped transmission is NOT a clunker. However, if a few years ago you insisted on a having a gigantic SUV to traverse the suburbs, you're in luck! Sorry, to be repetitive, but it's just so nice for the tax-paying public to shoulder the cost of bailing out people that made selfish (not to mention, ultimately ill-advised) decisions. Many of the same people that were outraged about the actions of AIG and the sort are probably all to happy to get some easy money for their automobile that doesn't really have any market value in a world where gasoline costs more than $1.50 a gallon. It really does seem like politics is nothing more than an elaborate system of deciding who takes responsibility for whose actions. The answer is more and more becoming that everyone takes responsibility for everyone's actions because that's fair. Ask yourself what the definition of "fair" is and see if it aligns with everything that is going on. If it does and you're happy with the thought, then see how this definition applies to other aspects of your life. Eventually there's a disconnect. 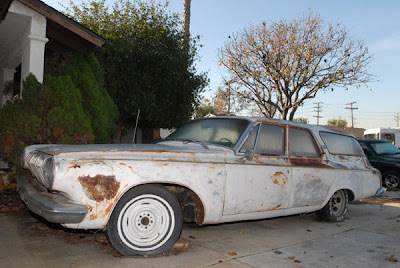 Maybe this opinion on Cash for Clunkers is a little one-sided and the true benefits are being overlooked for the sake of a truly stirring blog entry. Also, maybe not everyone can meet the eligibility requirements, despite driving an 11-year old car built for performance, not fuel efficiency. What a load.